I’ve met thousands of unpublished writers since I started selling my work. I’ve corresponded with at least a couple thousand more. I’ve heard every possible hope and dream about writing, commiserated with sad tales of rejection, cheered over jubilant good news, and listened to more plots than the FBI and more dirt than the parish priest sitting in his confessional. And I’ve discovered something important. I couldn’t in a million years tell you who among those thousands of hopeful writers will eventually succeed. But I can tell you in about five minutes which writers are guaranteed to fail. The guaranteed failures among writerdom carry their amateur beliefs and attitudes and methods like a bad perfume – an ever-present cloud of Eau de Doom that rolls off of their bodies and wafts into the noses of publishers and editors who might otherwise be interested in the writer’s work, sending the pros fleeing to green rooms and bathrooms to escape. If you’re wearing this particular scent, you need to lose it. Fast. Read below for a quick sniff-test, and for the best ways to come clean. I’m a very good listener, I’m patient, and I’m interested in seeing beginning writers succeed. In consequence, I spend much of my time at conventions and writers’ conferences leaned up against a convenient wall or doorframe, listening to the dreams and aspirations and tales of woe and book descriptions of unpublished or rarely published writers. These writers usually want a listener more than anything, so mostly I just listen. But from time to time, a hopeful writer will ask my advice. I always take my time, give the question my full attention, and try to offer the best answer I can, based on my experience and what I know of the markets and the industry. At which point, I’m out of the conversation. I’m starting to look for a quick exit and just about any exit will do. It isn’t that I think my advice would turn this writer into an overnight success, or even necessarily get his or her manuscript looked at; it isn’t that the writer has hurt my feelings by ignoring me (you don’t get this far in the business without developing a pretty tough hide). The problem with people who say “But . . .” is that they have already decided that they know everything they need to know about writing. They may be chatting me up in the hopes of networking, or because they want me to tell them that theirs is the most brilliant idea I’ve ever heard. But they aren’t interested in getting published. And they aren’t going to get published. Of all the possible sins that the hopeful writer can commit, The Big But is the worst. You cannot make excuses for your writing and hope to succeed. If a pro tells you that your plot is hackneyed and your characters are thin, “But I intended it to be that way . . .” is decidedly the wrong answer. If an editor tells you that you’re going to have to give the story a real ending, “But I want to leave the reader in suspense . . .” is going to get you round-filed and lose you a big opportunity. Here are some of the amazing excuses I’ve heard. One more time, then. You cannot make excuses for your writing and hope to succeed. They sit in the front row of each writing panel at a convention with their arms crossed over their chests, smug smiles on their faces. They know all the answers, and they talk over not just the other attendees, but also the panelists. They corner the pros in the hallways after the panel is over and launch into long spiels about their future publishing career. Their entire goal in attending is to prove to the writers, editors and publishers there that they know as much about the field as the pros – that they have done their homework – that they are a part of the inner circle. The problem is that they never shut up long enough to listen to anyone, and as a result they miss the important information they could have gained, and kill the good-will they could have won. Yes, they are smart people; I’ve been talked at by a bunch of ’em. I’ve been amazed by their erudition – but appalled by their ruthless head-on charges and their utter obliviousness to the fact that the very people they hope to impress are gnawing off the arm they’re clutching at the wrist in order to get away from them. So, if you recognize yourself as being the adult version of the kid in class with his hand always up going “Me, me, me,” here are a couple of tips. You don’t get an “A” for shouting out the answers. Nobody cares how smart you are – they care how willing you are to treat them like equals. The art of conversation does not consist of thinking of the next witty thing you’re going to say while waiting for the other person to breathe so you can jump in and say it. It consists of actually listening and responding. If you cannot learn to listen, you will not succeed. This is a great rule if you’re already writing publishable prose. But I’ve had this rule quoted back to me with a sanctimonious little sniff by people whose sentences didn’t parse, whose grammar indicated that the story had been written in one language and translated into a second by someone who only spoke a third and unrelated tongue, whose characters were dead on page one and who wouldn’t have known a plot if one reached up out of the open grave of their manuscripts and strangled them to get their attention. If the answer to that question is “no,” you have two choices. You can assume that your work does not yet meet professional standards, or else you can hope that it simply has not yet found its market. While it would be nice to believe the second, repeated submissions will either confirm this for you (someone will buy it or tell you it’s great and with a few changes, she’ll buy it) or deny it in pretty short order. If you never get any feedback that indicates that you’re close, assume that the work is not yet of professional caliber and get busy revising. And the variant here for self-publishers is, “Are my books selling steadily and do the people who read them leave mostly positive ratings, and buy my next book when it comes out?” If the answer to those three questions (sales, ratings, and repeat readers) is “no,” you have the same two choices. If you assume that the words that flow from your fingertips were dictated to you by God and are thus sacred and immune from revision, only you and God are ever going to read them. Now here’s the good news. No perfume – not even Eau de Doom – sticks forever if you wash it off. Even if you’ve been making excuses, failing to listen, and believing that revision was evil, you can leave your doomed past behind. You can sell your work. Go to it. Someone sent me this and I can’t tell you how much I love it. Oh, those ‘buts’!! I’m a writer, and also read for a reviewing team (not an author-author one; writers on the team can’t submit own work), and every so often we get that writer who can’t accept that 3 of us have given him a 3* (barely scraped) with lots of constructive criticism – because he’s brilliant, right? I’ve virtually ‘met’ so many of the ‘buts’ you describe over the years! And YES – the fantasy (oh no, sorry, ‘created worlds’ writer) who said his books didn’t sell because you needed a certain amount of intelligence to read them, and most people didn’t have that. I’ve been self-pubbing for 7 years now and hope I am always improving, because I am always reading stuff and comparing my own work with others’ and learning about structure (from TV shows, too!) 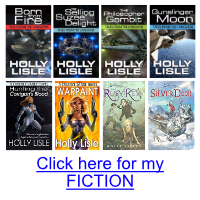 – I get mostly very good reviews and readers come back for more. Not always, but you will never appeal to everyone; and you should never stop being critical of your work and looking at ways to improve it. I have talent, yes, otherwise people would only read one of my books, but you have to keep honing it, and never believe that your book is so brilliant that everyone will love it and it must not be criticised. My first ones, looking back, are pretty crap. My later ones, I’m getting proud of. Just found this. I’m delighted you enjoyed the article. And had to laugh at the “buts” you’ve heard. I’ve had some of those, too. Declaring that the work is too smart to be read by regular people… Have heard that one so many times it hurts. It is infamously the excuse of breathtakingly bad writers with degrees. I just want to compliment you on the site alone. As a particularly young author at just 16, I admittedly lack a great deal of self-confidence, experience, and knowledge of this work at a professional level. Yet I have a dream, and I like to think a talent. This site in the short time since I found it has taught me a lot about the professional writing world and made the thought of pursuing my dream a lot less daunting. So to put it simply, thank you for the advice and I hope to put it into action. You’re welcome, Javon. Let me know how it goes. These are so great – my favorite self-publishing sin is Hubris (“my book is better than Twilight so it’ll will sell”) but these are nice warning symbols too. I’ll include a link here in my article. Thanks holly! i saved this article. Okay, that was definitely something. I have since I was very little thought about being a writer. And I do not know if you just killed that thought or inspired it even more. The way you turn writing into business. I mean, I know you are right but it is kind of like you are missing the rest. The happy and amazing part. The part of it that makes me happy. You go on about telling who is not going to cut it. But who says that they are not going to. That the people not following the strict rules are not. I think that you are partly right but you are missing the fact that someone with extreme talent can do almost anything. Joy is the primary reason I write. But money to feed my family is the very important secondary reason. And talent… Calvin Coolidge has the final say on talent. Thinking about writing will never get a book done, and will never let you know how much you still need to learn before you can be a good writer. Only writing can do that. I don’t write opinion pieces. I write from what I’ve lived. 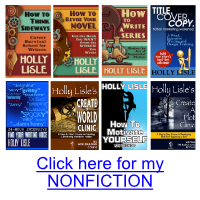 I think Holly’s point is this: people who make excuses for why they can’t possibly do something, or refuse to listen to sound advise, or refuse to work at constantly improving their writing — these individuals are displaying attributes of behavior and ways of thinking that almost guarantee they will not succeed in writing at a professional and publishable level. These are most often the kinds of folks who are quick to blame their environment or other people for their failures. Unless they change their mindset and take some personal responsibility, they keep themselves from progressing. Would you read what I’ve written, 8000 words so far. It may not be worth anything but 1) I’ve been driven 2) I’ll make any changes you suggest. It’s not finished. Duplicate reply: Thanks so much. My two novels so far involve a lot of solo exploration by the main character so I was a bit worried that I would have to do a lot of rewriting. Valiant Hearts//Pending final edits(A lion and lad kind of story in WWI times. In regard to my comments about Burroughs writing, how strict is the one third/two thirds rule in regard to prose and dialogue respectively. Rules of thumb, which the two-thirds/one-thirds rule is, just give you a quick way to scan what you’ve written and see if you’ve dragged on with exposition at the expense of keeping your story moving. When Tarzan was in the jungle alone, he lacked anyone with whom to talk, so Burroughs was definitely in violation of the two thirds dialogue, one third prose principle that I understand is in vogue in the publishing industry. Yet, Burroughs Tarzan novels were very popular. Styles of writing change across the centuries. Burroughs was phenomenally popular. So were Dickens and Nathaniel Hawthorne.